A full race season puts a lot of demands on clothing and equipment. 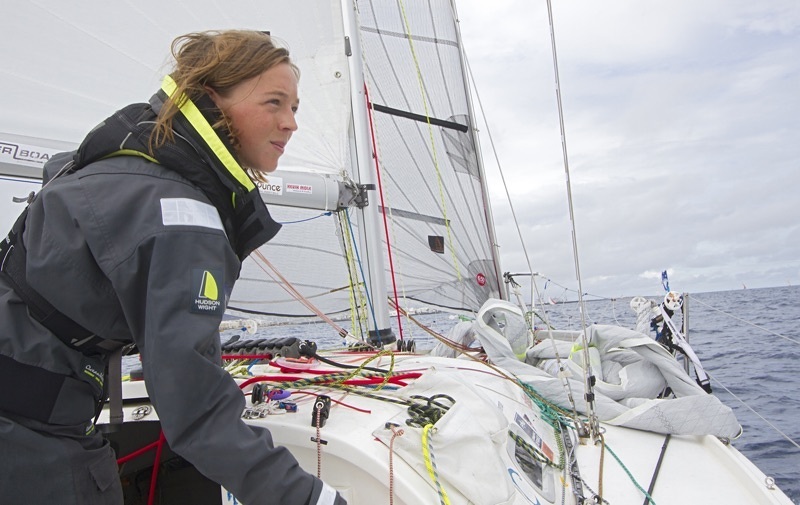 Relied on constantly for training days in the wet and cold winter months, right though to offshore races up to 30 days in length, everything I take onboard has to be resilient, comfortable and waterproof. 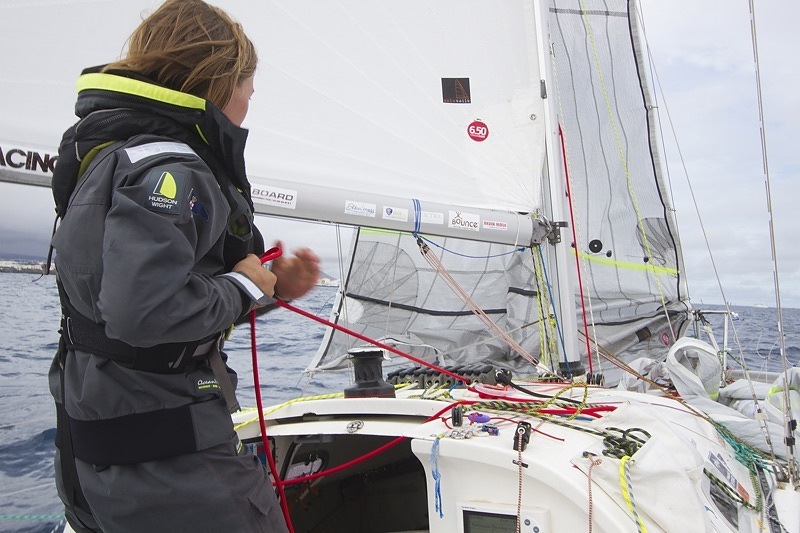 Throughout my two year Mini Transat campaign, I have always worn Hudson Wight Performance Sailwear. Designed in Great Britain with headquarters in Cowes, Isle of Wight, Hudson Wight kit can only be bought online or through affiliated Sailing Clubs / Class Associations and training establishments; allowing sailors to buy high performance kit at the fraction of the cost of other brands. In just three years, Hudson Wight has already become an established name in the sailing scene, with a second edition of their HW1s now available on the market. Perfect for both 'round the cans' and offshore racing, the Hudson Wight range includes salopettes, smock and jacket. On top of this, there is also a wonderfully snug fleece, gilet and Performance Jacket, which can be worn as both a mid layer and as smart casual onshore clothing. Hudson Wight Performance Sailwear is made from an active 3 layer laminated fabric, backed with a hydrophilic PU membrane. This means that the kit absorbs humidity and sweat produced by the body on the inside of the garment; allowing it to evaporate rapidly on the outside. This ensures that the clothing remains really lightweight and quick to dry; which is essential for me when I spend hours on the helm or working on the bow, without respite and little opportunity to change or dry kit. Not being 'bogged down' by large, heavy clothing keeps me feeling energized and free to move around the boat quickly. I particulary love the soft, high collar on both the jacket and smock - it is the only kit from which I have never had salt water sores. MILES AND MILES.... I have sailed over 8,000 nm in my Hudson Wight kit, including two Fastnets,the Les Sables - Azores - Les Sables (2600 nm) and the Mini Transat (4020 nm). How far will you take yours?